As the Tennessee legislature considers legalizing medical marijuana, those who need it must weigh the risks of breaking the law — or moving out of state. Mary Foster* doesn't remember exactly when she was diagnosed with Alzheimer's, but she remembers she was in her 40s. She's now 52 and retired, and though she may not remember the date of her diagnosis, she remembers why she started smoking marijuana to help relieve her symptoms. "I was sick, and I was losing a lot of weight," she says. "I had really bad headaches, and I wasn't sleeping." She's not sure if it was the Alzheimer's itself or a side effect of the medication she was taking, but a friend saw what she was going through and suggested she try marijuana. "My wife said, 'You know, if that is finally the only thing that's going to help you, I do not approve, but I can't watch you like this anymore,'" Foster says. "She had to go against everything she believed in. It is a divisive issue. It's horrible, in that the benefit is a risk for our family." State Representative Sherry Jones (D-Nashville) is hoping to change that. She is sponsoring HB 1385 — better known as the Koozer-Kuhn Medical Cannabis Act — currently making its way through the Tennessee General Assembly. It was assigned to the Health Subcommittee on January 15th. The bill is the latest chapter in the Tennessee medical marijuana story. The most recent prior effort, a 2012 bill sponsored by former Representative Jeanne Richardson (D-Memphis) was withdrawn before it could be put up for a vote. The qualifying diseases covered in the newly-proposed bill include cancer, glaucoma, multiple sclerosis, HIV, AIDS, Crohn's disease, and Alzheimer's. The main difference between this bill and the one from two years ago is the inclusion of post-traumatic stress disorder. However, the approval process and legality is the same, especially the Safe Access identification card program, in which patients would be required to enroll and receive a card in order to get prescriptions. Tennessee legislators have rejected medical marijuana legislation time and time again. Former Senator Steve Cohen proposed a similar bill in 2005. And Jones says she has sponsored or co-sponsored medical marijuana bills for six years in the Tennessee House of Representatives to no avail. "It's the right thing for us to do for people who are suffering needlessly in this state — people with muscular dystrophy, who may have severe muscle spasms; cancer patients, the nausea and the wasting," Jones says. "There are so many diseases that medical marijuana positively affects. It's time for us to get on that train and stop the suffering of as many Tennesseans as we can." 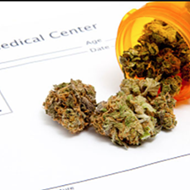 Some media outlets have reported that Tennessee legalized medical marijuana in 1981 when U.S. Senator Lamar Alexander (R-TN) was governor and that it was repealed in 1992. 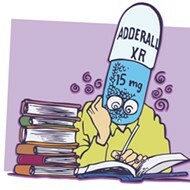 But the purpose of the Controlled Substances Therapeutic Research Act, passed during Alexander's tenure, was to create a statewide, government-sponsored medical study that would gather empirical evidence of the benefits of marijuana through meticulous record keeping and security requirements, in accordance with a board that would review and approve qualified patients and physicians. The bill allowed physicians and qualifying cancer and glaucoma patients to participate in studies examining marijuana's effects on patients who did not benefit from or respond well to traditional medicine. 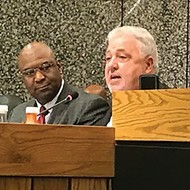 The act stated that "the potential medicinal value of marihuana [sic] has received insufficient study due to a lack of financial incentives" by pharmaceutical companies. The act enabled certain physicians to prescribe marijuana on a "compassionate basis to seriously ill persons suffering from the severe side effects of chemotherapy or radiation treatment and to persons suffering from glaucoma who are not responding to conventional treatment." The bill was repealed in 1992, four years before California became the first state to legalize medical marijuana. Now, the political climate is changing. Twenty-one states currently allow legal medical marijuana. And more states are initiating legalization bills. Florida just approved putting medical marijuana on the ballot for 2014. "I think the public sees that it helps people," Jones says. "My brother had Crohn's disease. He died from the effects of Crohn's disease. He wished that he had been able to have medical cannabis when he was in the hospital the last eight months of his life, dying from the pain and the complications." Jeanne Kuhn, whom the bill is named for, died in 1996, after a battle with breast cancer. Her husband, Paul Kuhn, of Nashville, is working with the board of the National Organization for the Reform of Marijuana Laws (NORML). "She was diagnosed with what turned out to be a very aggressive form of breast cancer and underwent three rounds of chemotherapy, an induction course to see if the chemo would respond — which it did, initially," Kuhn says. "Then she went through the most extreme: the high dose of chemo and stem cell transplant, which was a really unpleasant procedure." The couple discussed supplemental medicine when she began treatment, either taking the legal route with anti-emetics (drugs used to curb nausea and vomiting) or marijuana. After speaking to other patients, her nurses, and her oncologist, Jeanne began to use marijuana. "It kept her appetite up, kept her spirits up," Kuhn says. "That final round, she said, 'Paul, I smell marijuana and I think of chemo now, so I'm going to use the legal drugs.' She went in for that final round and took the legal drugs. She had been home around 20 minutes, and I could see she was uncomfortable. She said, 'Bring me the damn pot.' She took a puff and the nausea was gone." In his position at NORML, Kuhn interacts with others affected by ailments that could be relieved with medical marijuana. One friend underwent chemotherapy for cervical cancer last year and opted for the legal medicine, which cost around $1,500 per treatment for six treatments, he said. "She underwent the first round, woke up that afternoon, thinking she was going to die. She said, 'I've never been so frightened in my life, and I remember somebody gave me marijuana,'" Kuhn said. "She took a puff and, two minutes later, she said, 'I feel fine. I wonder what's for dinner.' So it was $9,000, compared to $50 worth of marijuana. It's an economic issue as well as a compassionate issue." 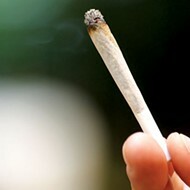 The Center for Medical Cannabis Research at the University of California at San Diego has, despite discontinuing studies involving cancer patients due to lack of qualified participants, completed some studies regarding the effects of smoked marijuana on various ailments. The center found positive benefits for patients of multiple sclerosis and HIV, while other entities, such as the National Cancer Institute — a government agency — report the significant increase in appetite, decrease in nausea, and effective pain treatment of patients who smoked medical marijuana. Kuhn says the biggest challenge for the Tennessee bill will be the Republicans in the General Assembly who have historically voted against medical marijuana. "The support is there. 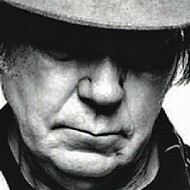 The trouble is the politicians are behind the public," he said. "They never had to think about it. They've just always been opposed to it." Last year, a Fox News poll found that 85 percent of voters support medical marijuana — statistics Richardson did not have in her arsenal when the 2012 bill was up for committee. Kuhn says the Koozer-Kuhn Medical Cannabis Act is among the strictest in the country. "The marijuana would be grown under the supervision of the Department of Agriculture and processed under their supervision," Kuhn said. "Farmers would be trained. It would be sold in dispensaries supervised by the Department of Health, so it's got lots of control. You have to get the card, obviously, on a recommendation from the doctor. It would create jobs. It would bring in millions of dollars of revenue to the state." Kuhn cites the Mattisons, a family from Nashville. Their 2-year-old daughter, Millie, suffers from severe daily seizures, numbering in the hundreds each week. "She will die without cannabis, there's no doubt about it," Kuhn says. Millie's parents, Nicole and Penn Mattison, tried everything, including six or seven epileptic prescriptions. The ketogenic diet, which focuses on high fats and low carbs for children with seizures, caused Millie's kidneys to shut down. "She was on up to 2,000 mg of Sabril [an anticonvulsant] and that was just one of her medications. That is a dose for a full-grown man," Nicole says. After neurosurgeons at Vanderbilt University told the Mattisons there was nothing else they could do, the family decided to move to Colorado, where medical and recreational pot is legal. They plan to try Charlotte's Web, a strain of marijuana that has been used to treat children with severe seizures. The strain is of the indica variety, which means the cannabis plant has significantly less tetrahydrocannabinol (THC) — the element that actually gets users high — but more cannabinol (CBD) than its counterpart, sativa, which has high THC value and low CBD. The effectiveness of Charlotte's Web has been debated. Some doctors argue that the strain must be trial-tested like any other drug. Families like the Mattisons says they do not have the luxury of time. "Charlotte Figi [who the strain is named after] has been on it for two years, and she has been pharmaceutical-free for a year now," Nicole says. "When we look at Millie and what she goes through day-to-day, that's good for us." The Mattisons might move back to Tennessee if Koozer-Kuhn passes. Nicole already has an idea of how they could contribute — Penn has been involved in horticulture for 22 years, and he is interested in growing medical marijuana. That's way down the road, though. "Our first concern right now is helping Millie and seeing how far we can get with her," Nicole says. 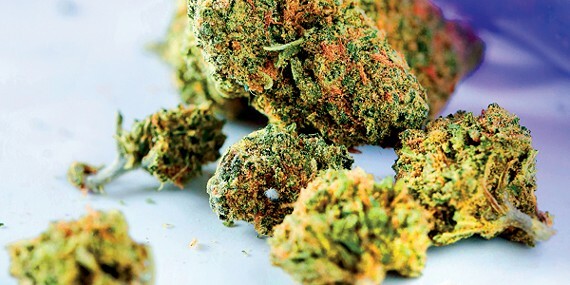 Different strains of marijuana help different medical conditions. For Foster, it's a strain called Harlequin, a hybrid that is 75 percent sativa. "People with Alzheimer's benefit from a type that's sativa-dominant, but balanced with CBD, so there needs to be that stimulation from the sativa [as well as] the energizing ability [and] the ability to focus. The CBD needs to be a little lower," Foster says. "It's good for anxiety and keeping an appetite, but that is absolutely impossible to get on the black market here unless you know someone who will take a risk to ship it to you — or you will take a risk to drive, if you have the means." Alzheimer's patients may also benefit from marijuana's inflammation reduction effects. Foster says it also helps with another side of Alzheimer's: coping. "It doesn't make me Superwoman, and I can still only do less in more time [than I used to]. It helps me accept my limitations," she says. "I don't push myself as hard. I can forgive myself. It's like my friend who's dying of cancer said to me: 'It doesn't take away the pain as much as it helps me live with it.'" Joe Roberts*, a construction supervisor, suffered a stroke more than 20 years ago that left the right side of his body mostly paralyzed. He has limited use in his right arm and hand and still suffers pain from the injury. "I also take over-the-counter pain killers, but pot just seems to cut the pain and makes the day easier to bear," Roberts says. Roberts, who is over 60, has been smoking marijuana intermittently since college, but the stroke caused him to smoke more frequently. While he is pessimistic about the Tennessee medical marijuana bill passing, Roberts sees the tide turning. "I think a lot of people, especially as the baby boomers age, know somebody who knows somebody who benefits greatly from medical marijuana," he says. 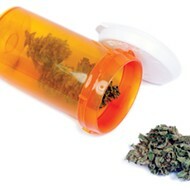 Back in her home, Foster pulls out a large purple prescription bottle with a green "Rx" on the side. Her name is printed on it, alongside a warning — not to be consumed. It looks official, but there's no way it came from Tennessee. At least, not yet. Getting her medical marijuana is a fluid affair, changing all the time. It could be a grower from Washington or Colorado with a surplus; it could be a sympathetic friend who's going out of town; or a shady source with illicit ties — good only once. It might be a sativa or an indica, but it's better than nothing, and she remains grateful. "If I wanted to up my risk level, if I wanted to get something shipped to me, I could do it. I'm not ready to risk that," Foster says. "I just have to put up with what's on the black market. [Some strains are] okay for some things, but [they're] not quite right for others." She says the way she receives her marijuana is a lot like going to a Walgreens pain reliever aisle, seeing that all the boxes are unlabeled, and randomly selecting one. "You can get something that has such an incredibly strong medication level that you would barely be able to function if you weren't needing it for pain control," Foster says. "That would not be at all what I need, so I don't like to gamble like that, when it's really about making me function better. But you've got to take a risk." 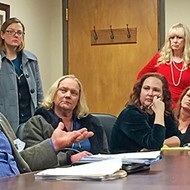 Foster hopes, with increased awareness of the bill, that more Tennesseans will get involved and other medical marijuana users will step forward with testimonial evidence to educate legislators to medical marijuana's real benefits. "The people who can be a face on this are people who are willing to lose what they have," Foster says. "Do I have any [pot] in the house? Do I risk being busted? Do I not try and get any until it's legal? These are all huge issues. I do not want to expose myself and my family to liability." Medical Marijuana Coming to Tennessee?